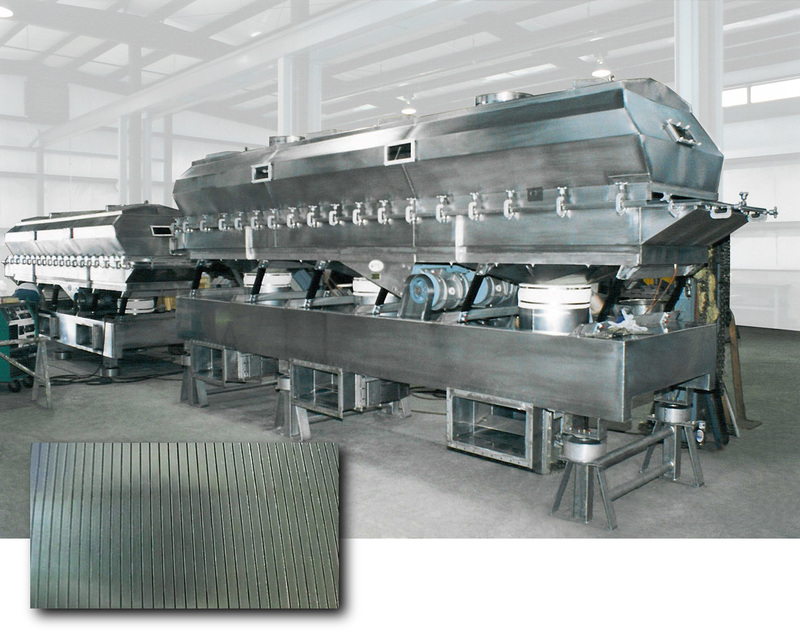 Washington, NJ: Fluid bed dryers and coolers from processing machinery and drying equipment manufacturer The Witte Company, Washington, New Jersey, feature wedge-wire decks that significantly increase drying efficiency vs. outdated drilled hole decks. Permitting intimate product contact with the drying air, the Witte Wedge-Wire Decks replace the 1/8″ hole on one-inch center drilled hole decks that trap product and block flow with tapered slots measuring 1/100″ on 1/8″ centers. This wedge, or triangular wire construction, establishes immediate openings for airflow that prevent blinding and ease cleaning. In addition, the Witte Wedge-Wire Decks allow a more gentle airflow that prevents product degradation, promotes product advance and ensures plug flow. While old-fashioned drilled hole decks require frequent, hole-by-hole cleaning to remove trapped product, the smooth, Witte Wedge-Wire Decks may be cleaned quickly and easily by a single operator with no tools and at less frequent intervals. Line downtime and manual labor are reduced, product quality is assured and product waste is minimized. The Witte Wedge-Wire Decks are manufactured from FDA-approved stainless steel and are ideal for drying and cooling foods, beverages, dairy products, chemicals, pharmaceuticals, minerals, metals, plastic pellets and other products. For more information, contact the Witte Company, Inc.; 507 Rt. 31 South, Washington, NJ, 07882; 908-689-6500; Fax 908-537-6806; www.witte.com.